Students engaged in learning a large body of related knowledge often possess some incorrect naïve knowledge about the domain. These “misconceptions” must be removed and/or the correct conception must be built in order for students to achieve a deep understanding. This repair process is generally referred to as “conceptual change.” However, although conceptual change has been discussed for several decades within different research contexts, the literature nevertheless presents a somewhat blurry picture of what exactly misconceptions are, what constitutes conceptual change, and why conceptual change is difficult. 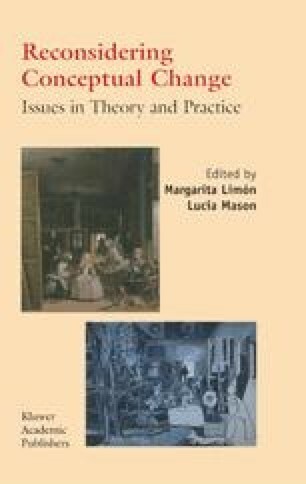 In this chapter, we suggest that one should think of misconceptions as ontological miscategorizations of concepts. From this perspective, conceptual change can be viewed as a simple shift of a concept across lateral (as opposed to hierarchical) categories. We argue that this process is difficult if students lack awareness of when a shift is necessary and/or lack an alternative category to shift into. These ideas are explored using a detailed example (i.e. diffusion) from abroad class of science concepts (i.e. emergent processes) that are often robustly misunderstood by students.